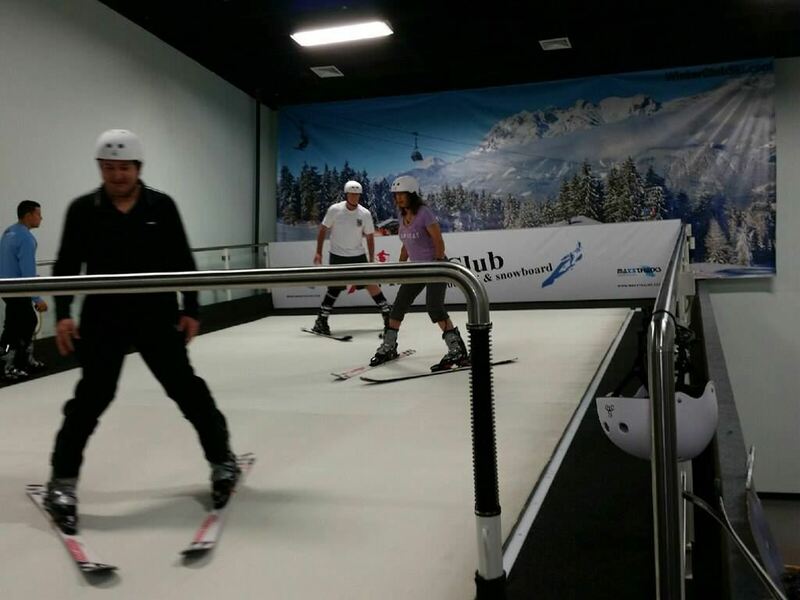 Orlando Ski and Travel Clubs February Social was a TON of fun! We celebrated our club winning GOLD at the Florida Ski Council’s January race in Steamboat! We had a specially decorated cake with a GOLD metal, enhanced food buffet and a PARADE to honor our racers! Thanks for turning out in such large numbers to help us celebrate! Our trip to Heavenly has returned with good reviews! Fun time had by all with some unique Après Ski events! Next our Spain & Lisbon trip leaves March 8th, followed a few days later by Jackson Hole’s departure on the 10th. Both promise to be exciting trips! In February OSTC had an interesting Happy Hour at Alfond Inn, having a guided tour of a few art pieces from their prestigious collection while sipping wine at discounted prices. This is a First Wednesday of every month free event, I encourage members to attend. Next, we had the Rodeo! 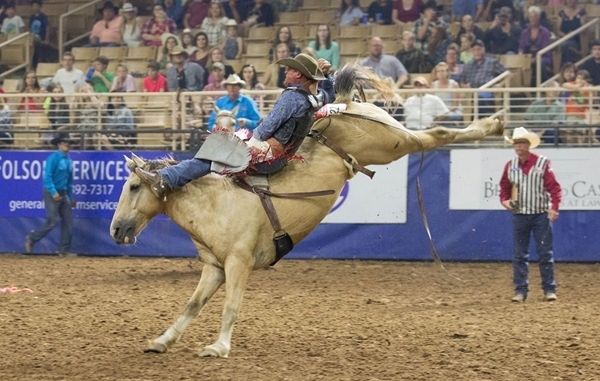 Any of us who grew up in Orlando (as I did) know this rodeo has been part of Central Florida’s culture dating back many years! It’s quite the event, everyone needs to go at least once, maybe annually! Dust off those cowboys boots and watch OSTC newsletter for the next rodeo in a few months. Our Blue Ridge Rafting trip is on-line and accepting sign-ups. This year’s trip is a combination of the BEST features from the 2016 trip to Ocoee River and 2017 trip to Blue Ridge. It promises to be extra special! The once in a lifetime opportunity to visit New Zealand and Australia still has space, don’t miss this trip! It is action packed with every detail taken care of for you! To plan a trip like this on your own would be mind boggling! We’ll have more ski trips to announce soon. 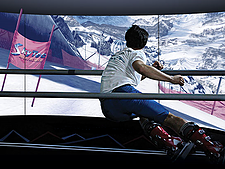 Meanwhile, watch our website https://orlandoskiclub.com/ and be sure your signed up on Meetup to receive the latest updates on OSTC events https://www.meetup.com/skiing-96. Come join your fellow Club Members at the March 14th Social at WP Ale House, it’s always lively! I’ll miss being there this month as I’m leading the group to Spain! We’re back! 35 Orlando Ski and Travel Club members traveled to the Pacific Time Zone to ski and ride two of the prettiest places: Heavenly and Kirkwood Ski Resorts. We had our group dinner on the 18th floor of Harrah’s Casino, and we were delighted with the nation’s best buffet. Food of every kind and everything was delicious. We missed Chuck, and Gayla due to illness and Maureen who had an early departure, leaving 32 people in attendance. 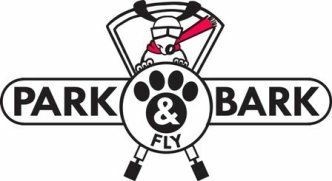 There were 2 never-ever skiers’: Marc Gibault and Richard Zywica, along with 5 beginners or those who were returning from a lapse in skiing: Cat Hite, Robin Beckman, Deborah Haataja-Derartany, Devan Derartany, and Rich Lovette. This is a hard sport to master and all of you hung in there and progressed well. I was amazed to see Richard Zywica (keep up with me) and Cat Hite cruising around on blues without fear. Job well done! Richard was the only one who was prepared for the warm weather, but everyone was amazed at the mad skills Heavenly has in creating snow. Their snow-making ability made it worthwhile to ski/ride every day. I’d like to thank David Pugh for leading us to the California side, and the Nevada side and Michael “Go Pro” Beckman for the great videos that he made and sharing them with us at Friday Night’s Après Ski. We fell in love with the Nevada side, and played for hours on Olympic, Stagecoach, Comet, and Dippy Express lifts, but all our pictures are from the spectacular views of the California side especially from Ridge Run and BooyAHs at the Lakeview Lodge. 24 of us spent an hour on a bus traveling to Kirkwood. Was it worth it? You bet - all we can say is GO! Kirkwood is a more challenging mountain, and we did black diamonds, the back side, and Dan Davis was praised for doing the infamous WALL! After our hard work we were surprised with a 4 course Après Ski and 1 drink at the FANTASTIC Kirkwood Inn: 1) Mac n Cheese and Nachos, 2) Valley Poutines which are potato wedges smothered in cheese and gravy (YUM), 3) the house Beef Chili, and 4) baked Smores for desert. I am honored to have led the 2018 South Lake Tahoe- Heavenly – Kirkwood ski trip for the Orlando Ski and Travel Club. Everyone was a joy to be around and a blast to ski with. Thank you for a FANTASTIC time. You guys made the trip memorable. Alfond Inn Happy Hour Art Tour was a big hit. 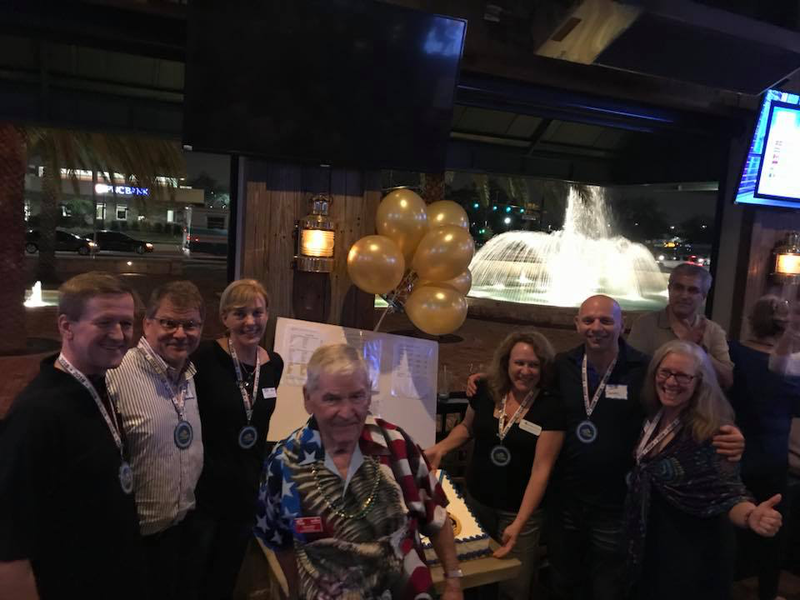 On February 7th a group of us met for Happy Hour at Hamilton's Kitchen at The Alfond Inn. We then joined a group of other hotel guests and art fans for a tour of the Alfond Collection of Contemporary Art on view at The Alfond Inn. The tour was conducted by staff member of the Cornell Fine Arts Museum. Every month the tour is conducted by a different staff member and different pieces in the collection are highlighted. 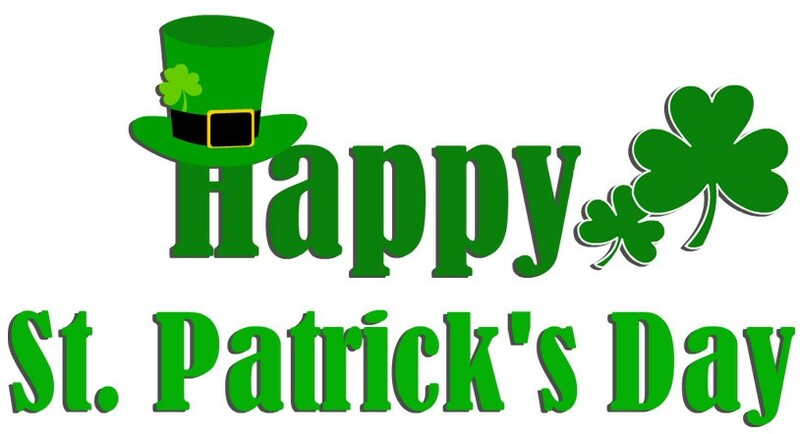 We will meet there again on April 4th to take another tour and enjoy the wonderful happy hour before and after the tour. 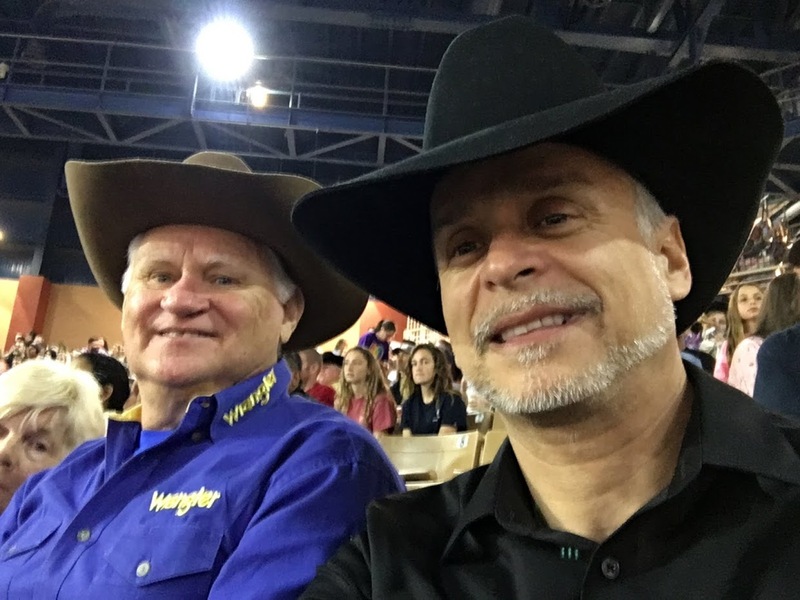 Carol & David, Debbie & Steve and Jose & his friend attended the 140th Silver Spurs Rodeo. They met for BBQ & drinks first and then join the crowd to watch the cowboys try to ride & rope. 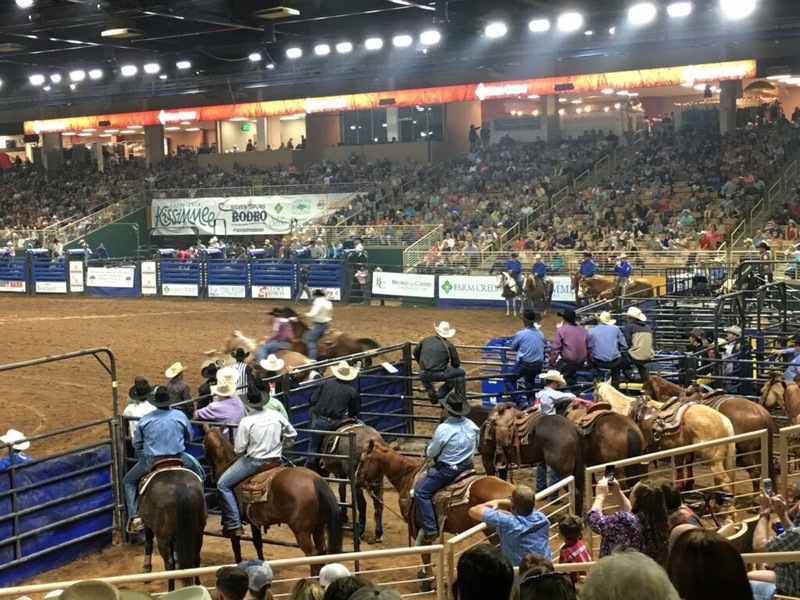 If you were rooting for the Bulls it was your night as they bucked off every rider! The cowgirls showed their riding skills and their well trained horses running the barrels.